Composed in a geologic deep timeline of deposited conglomerate sediments from the ancient Rocky Mountains; formed by one of Mother Natures’ laws effected by gravity called, Superposition that began almost 300 million years ago in a supercontinent named, Pangaea; split into two Big Mama Mega+Continents called, Laurasia and Gondwana. 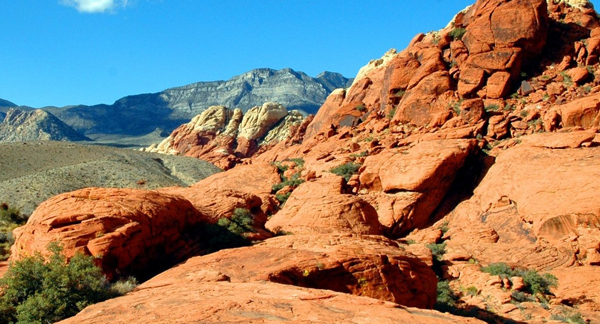 The current Red Rocks Fountain Formation sediments in Colorado are uplifted to nearly a forty-degree angle from originally deposited horizontally that were sculpted in the Laramide Orogeny and weathered by time. Just recently the City of Denver trademarked Red Rocks Park and Amphitheatre the vision of many including John B. Walker. Mr. Walker had sold the Garden of Titans to John Ross of Bear Creek Development Corp… When John Walker was going to lose the property in a Tax Sale, due to his ongoing financial problems in the 1920’s. However, the City and County of Denver states that it purchased The Park of the Red Rocks from Walker for the price of $54,133 dollars when there is no record of the sale in the Jefferson County Records and such a deed of sale. John Ross was Harold Ross’s brother whom started the New Yorker Magazine. Johns Walker started the Cosmopolitan magazine and both were investing in the Future of the west. Johns Ross and his daughter Mary named it, Park of the Red Rocks together with Mary’s new husband, A. Quaintance. They were the last owners and operators of the Red Rocks Park before Denver and the Federal Government used eminent domain to take over the attraction with the property for the CCC Camp in Morrison. Duly noted for the record, this is an incorrect and revisionist history made by Denver to hide the darker side of how the City came to own the Park through condemnation and Eminent Domain abuse. Denver actually went outside its Corporate Boundary to overtake and annex land to expand the assets of the city in the midst of a developing Auto Nation and Car Culture. This plan was to lead competition with Colorado Springs and the car culture built around car travel up places like Pikes Peak; only here it’s Mt. Evans and the newly named Lariat Loop. Then in 1925 the City of Denver began its buy out and use eminent domain to take over the property in Unincorporated Jefferson County to create the Denver Mountain Parks. Simply through a hallmark use of Eminent Domain, Denver was able to condemn The Park of the Red Rocks and compensate John Ross and Bear Creek Development Corp for the property. 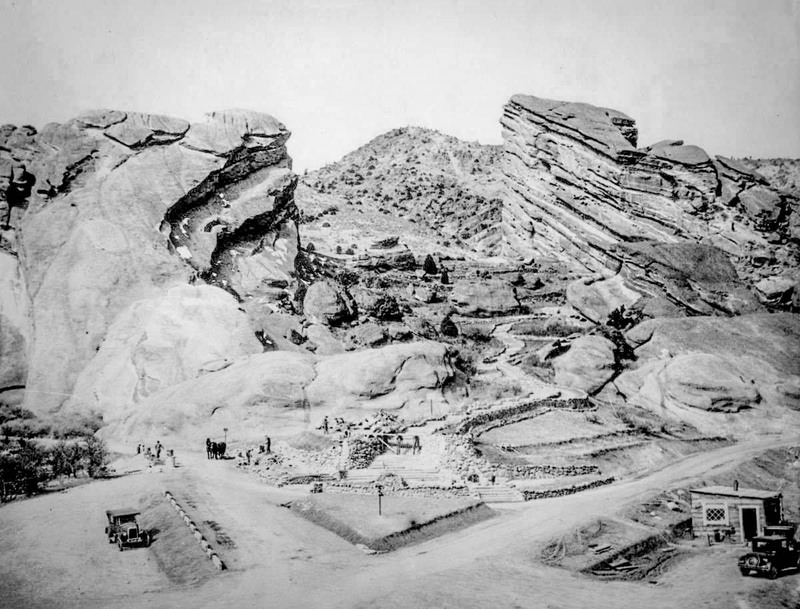 Later in the 1935 the city planners and the Urban Landscape Architect Frederick Law Olmsted; with the architect Burnham Hoyt were able to envisioned the Red Rocks Park as it is today. Denver Mayor and controversial KKK leader Benjamin Stapleton with George Cranmer’s idea, lobbied by John Walker, started Denver Mtn. Parks with the help of the Federal Government and the help of the People to create the CCC camp in Morrison along with the Federal Gov. WPA workers in FDR’s Presidency to end the Depression era. They built what we call today the Red Rocks Park and Amphitheatre that opened in 1941. The CCC camp in Morrison still remains intact as one of the finest and only examples of a working WPA camp from that era. Too bad that the CCC camp remains closed to public viewing; however, just recently in 2018 the City of Denver Council voted to fund and restore the CCC camp and make it available to the public. Makes one wonder why the City and County of Denver had never completed the Historic Registry until last year when it received its’ National Historic Registry? We look forward to see the CCC camp open to all History Buffs, Photographers and visitors alike. We truly celebrate this exciting time in Living History with our Geologic and Artistic Classroom called the Red Rocks Park and Amphitheatre in Morrison Colorado. Red Rocks Park operates today as the finest outdoor concert venue and Amphitheatre in the World. Mother Nature and its peeps totally stage a spectacular Natural Class Act for the Creative Arts, History, Science, Cultural Gatherings, Spiritual Connections and Fitness for Communing in Nature. Here we also plan to explore the rich ancient human inhabitants of the Paleo-Indians here up until the current times. There have been many caretakers of the Red Rocks in this Front Range Colorado location from the Clovis People, Woodland Indians and the Lodeska Tribe, to its’ former owners/occupiers the Ute Mountain Tribe. After the Native Americans surrendered the park location known today the developers first started and named as it the Garden of Angels soon after the Town of Morrison began in 1875. One could take the Denver South Park and Pacific Railroad train out to Morrison. Then rent a donkey and ride up into the park, picnic and view the beautiful lookout over creation as the marvel it truly is. Then the early rock monolith named Creation Rock, located on the North side of the Amphitheater. Later when John Walker owned the park and renamed it, The Garden of Titans, he called the north side monolith rock, Ship Rock. This was because the rock looks exactly like the stern of a ship, The Titanic, as seen going down and seemingly sinking as it did into the North Atlantic Ocean along with local celebrity Molly Brown who survived and the event. She was given nickname of The Unsinkable Molly Brown due to her luck and perseverance during that tragedy. Yes, Rock Climbing was encouraged then as a railing was built along with steps that were carved into Ship Rock to go to the ships stern. Before when it was called the Creation Rock one could climb up there and look out over creation. The railing that resembled the Titanic ships deck railing is long gone; but one can still see those steps carved into the rock today. Somehow the City of Denver has decided to call the Historic rock Creation Rock once again. Walker built a modern cog train called a Funicular up Mt. Morrison which was actually called a Railroad Train because Walker felt the people were to stupid to know the difference between the two; much less pronounce it. Of note, climbing on the Red Rocks will reap you the handsome fine of $999 dollars if you get caught on them as a rock hopping explorer. John B. Walker took his dream one step further when he purchased the land in the early 1900’s. He renamed the former attraction called, The Garden of the Angels into The Garden of Titans. Walker maintained a metal handrailing that looked just like an Ocean liners ships railing and carved stairs up the newly named Ship Rock to the stern of the sinking Titanic attraction called, Ship Rock. The old name for that rock was called the Creation Rock truly overlooked over all of creation but Walker switched the rocks names. This because of Walkers’ theme choice in the newly purchased park of The Garden of Titans it particular looked much more like the imagined sinking Titanic Ship. Sinking that which was first named originally as Creation Rock. John Walker decided to change the other South monolith rock in the Garden of Titans, to still very popular, Creation Rock. The third rock to the East in the Amphitheatre is and always has been the stage called, Stage Rock. This was the coming of age for the famed personality, The Unsinkable Molly Brown era in the US and Denver History. So, John Walker maintained that ships metal handrail looks of the Titanic for his big north side monolith called Ship Rock as the all new big Attraction for the Park. Folks could climb up the stairs holding onto the metal railing on that sinking Ship Rock up onto the pretend bow of the Titanic and look about as it appeared to go down as a sinking ship. The City of Denver removed and cut off the metal railing; but the rock stairs can be seen today if you look closely from a distance. John B. Walker also built a spectacular Funicular to the top of Mt. Morrison still seen as a straight pathway scar up the face of the mountain. The final owner of the Park of the Red Rocks Attraction and the land around it was John Ross of Morrison. Then in the early 1920’s a constitutional action was taken by the City and County of Denver to condemn and declare dominant Eminent Domain over Red Rocks and land in Jefferson County. John Walker wanted to sell the land to Denver but John Ross bought it and started Bear Creek Development Co. as Walker wanted to be the developer. This move by Denver was seen by the land owners as illegal and contested all the way to the Colorado Supreme Court. Ross -V- City and County of Denver case was decided and lost to Denver. Then ordered to pay for eminent domain property as just compensation. The fight against Denver’s legal ability to go outside their Corporate Boundary and claim this incredibly valuable property as their own for the People of Denver, for practically nothing. Then City of Denver, plus the Federal Government at the CCC camp in Morrison, took over this and other property for their futuristic designs of a Denver Mountain Parks throughout Unincorporated Jefferson County. The fight with Denver using the Eminent Domain protocol and takeover began in 1923 with this case of John Ross and Bear Creek Development Corp. -v- The City and County of Denver. Bear Creek Development Corporation took this case all the way to the Colorado Supreme Court. It was then decided in favor of Denver as a dominant Eminent Domain case. If Denver payed John Walker $54,133.00 for the Park of the Red Rocks as they claim in their revisionist history; they forgot to mention that it was actually purchased through an abusive use of eminent domain. There remains factual and controversial case information that exists regardless of the made-up History of how Denver came to own this now Historic Landmark and National Treasure.